Hmmm....I remember back in the Nexus One days that Google introduced what their game changing strategy would be for selling their new baby: "Let's sell the Nexus One directly and change the way the mobile industry ticks". On paper it sounded good, and many thought it had the potential to become a game changing strategy. But when it came to executing that strategy, things didn't quite go as planned, and unfortunately for the Nexus One (one of the best phones I ever owned), this "not nearly well enough thought out" strategy resulted in the phone being nothing more than a massive sales flop. But if there's one thing we know about Google, it's that they can be a damn persistant company when they want, and just because something doesn't always immediately work doesn't mean they are scared to learn from their mistakes and try again. Apparently, they are ready to have another go with this strategy again, as it's now being reported that they are preparing to get back into hardware retail by opening their own online store specifically for Android tablets. According to the Wall Street Journal, they are under growing pressure to get the ball rolling for poor selling tablets, and are attempting to beat Apple and even Amazon at their own game. Google has not yet confirmed that this information is legit, but I certainly could imagine a store that would be used to present their current offerings from Samsung, Asus, Motorola, ect. If these reports are accurate, it would also seem that some of these tablets on the online store would be co branded with Google's Nexus brand, and could possibly be the home of the first official Google Nexus tablet. It could very well be that Google could manufacture tablets through it's newly purchased Motorola Mobility (PLEASE GOD LET THEM DO THIS) and that it could make it's debut on the online store, possibly planning it's release around the next version of Android dubbed Jelly Bean. If Google would manufacture, sell, and subsidize its own tablets through this online portal, it would be in a much better position to compete with the Kindle Fire as well, which is believed to be sold at a slight loss by Amazon. Google is naturally eyeing the iPad as it's main competition, but high end tablets along with subsidized tablets under 200 USD could take a stab at both companies tablet sales. For me personally, if Google would this time DIRECTLY get involved with the marketing of this store and its products, it could be a winning idea IF executed properly this time around. What do you guys think? 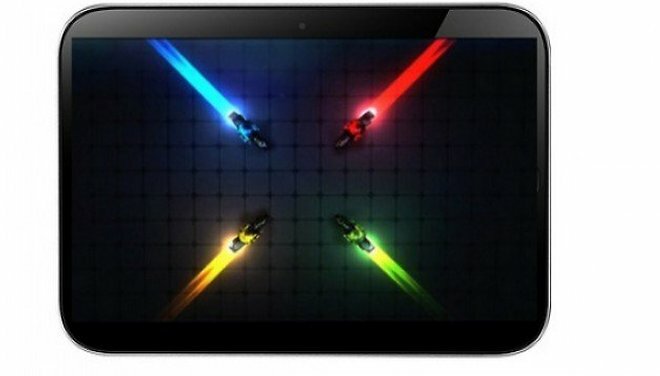 Is this a strategy that could work for Google when it comes to tablets, or is it another Nexus One flop waiting to happen?